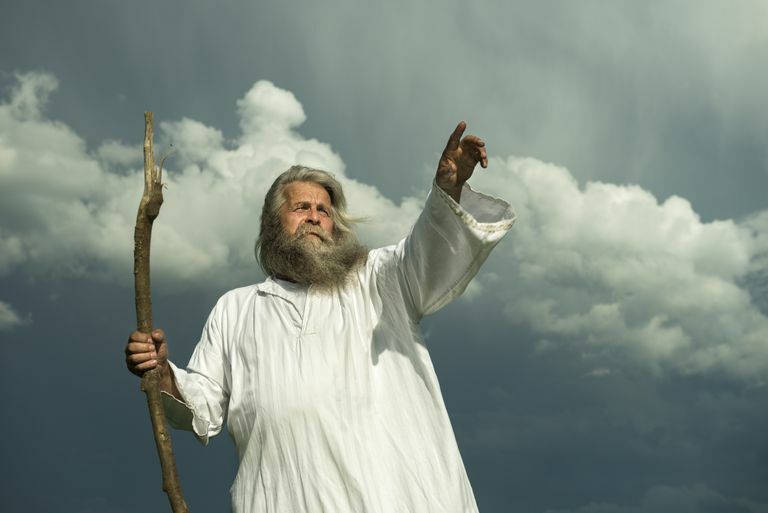 The prophet Nuh (known as Noah in English) is an important character in Islamic tradition, as well as in Christianity and Judaism. The exact time period when Prophet Nuh (Noah in English) lived is unknown, but according to tradition, it is estimated to be ten generations or ages after Adam. It is reported that Nuh lived to be 950 years old (Qur'an 29:14). It is believed that Nuh and his people lived in the northern part of ancient Mesopotamia--an arid, dry area, several hundred kilometers from the sea. The Qur'an mentions that the ark landed on "Mount Judi" (Qur'an 11:44), which many Muslims believe is in present-day Turkey. Nuh himself was married and had four sons. According to tradition, the Prophet Nuh lived among people who were stone-idol worshippers, in a society that was wicked and corrupt. The people worshiped idols called Wadd, Suwa', Yaguth, Ya'uq, and Nasr (Quran 71:23). These idols were named after good people who used to live among them, but as the culture went astray, it gradually turned these people into objects of idolatrous worship. 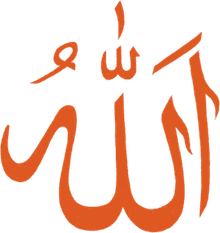 Nuh was called as a Prophet to his people, sharing the universal message of Tawhid: believe in One True God (Allah), and follow the guidance He has given. He called upon his people to give up their idol-worship and embrace goodness. Nuh preached this message patiently and kindly for many, many years. As was true of so many of Allah's prophets, the people rejected Nuh's message and ridiculed him as a crazy liar. It is described in the Quran how people thrust their fingers into their ears so as not to hear his voice, and when he continued to preach to them using signs, they then covered themselves with their garments so as not to even see him. Nuh's only concern, however, was to help the people and fulfill his responsibility, and so he persevered. After the ark was completed, Nuh filled it with pairs of living creatures and he and his followers boarded. Soon, the land was drenched with rain and a flood destroyed everything on land. Nuh and his followers were safe on the ark, but one of his own sons and his wife were among the disbelievers destroyed, teaching us that it is faith, not blood, that bonds us together. The actual story of Nuh is mentioned in the Quran in several places, most notably in Surah Nuh (Chapter 71) which is named after him. The story is expanded upon in other sections as well. "The people of Nuh rejected the apostles. Behold, their brother Noah said to them: 'Will you not fear Allah? I am to you an apostle worthy of all trust. So fear Allah, and obey me. No reward to I ask of you for it; my reward is only from the Lord of the Worlds" (26:105-109). "He said, 'Oh my Lord! I have called to my people night and day. But my call only increases their flight from the right way. And every time I have called to them, that You might forgive them, they have thrust their fingers into their ears, covered themselves up with their garments, grown obstinate, and given themselves up to arrogance" (Quran 71:5-7). "But they rejected him, and We delivered him, and those with him, in the Ark. But We overwhelmed in the flood those who rejected Our signs. They were indeed a blind people!" (7:64). Was the Flood a Global Event? The flood that destroyed the people of Nuh is described in the Qur'an as a punishment for people who disbelieved in Allah and the message brought by Prophet Nuh. There has been some debate over whether this was a global event or an isolated one. According to Islamic teachings, the Flood was intended as a lesson and punishment for a single group of wicked, disbelieving people, and it is not assumed to be a global event, as is believed in other faiths. However, many ancient Muslim scholars interpreted the Qur'anic verses as describing a global flood, which modern scientists theorize is impossible according to the archaeological and fossil record. Other scholars state that the geographic impact of the flood is unknown, and could have been local. Allah knows best.